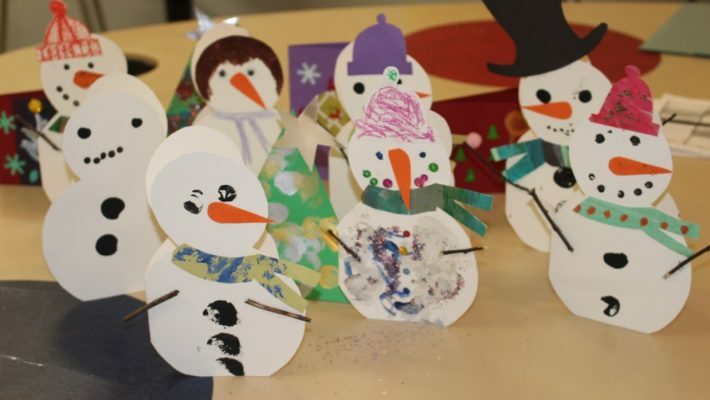 It’s that time of year once again, when the patients and staff here start looking forward to Christmas, and nowhere epitomises the holiday spirit quite like our patient Art Room. It’s in this light and airy room that our team of Art Technicians and trained volunteers help patients recover some of the abilities they’ve lost through brain injury. The Art Service provides one-to-one and group sessions to over 300 patients a year, helping them to improve their co-ordination, upper limb strength, cognition and fine motor skills; the kind of abilities you need to brush your teeth, fasten your coat buttons or open your Christmas presents. 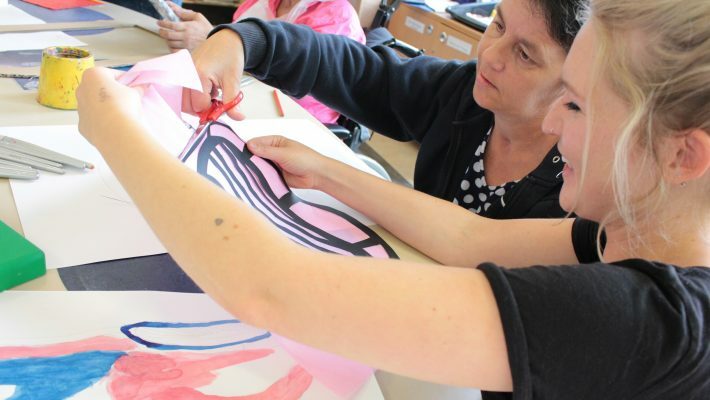 But art isn’t just a vital tool in a patient’s physical rehabilitation; art can help patients to build a new identity and a sense of self-worth. Just ask Tina, one of the patients currently on Drapers Ward. Tina attends our regular Thursday group session. It’s an opportunity to make new friends as well as improve her physical health, and fosters a real sense of community at the hospital. Another patient in Tina’s group is Derek. 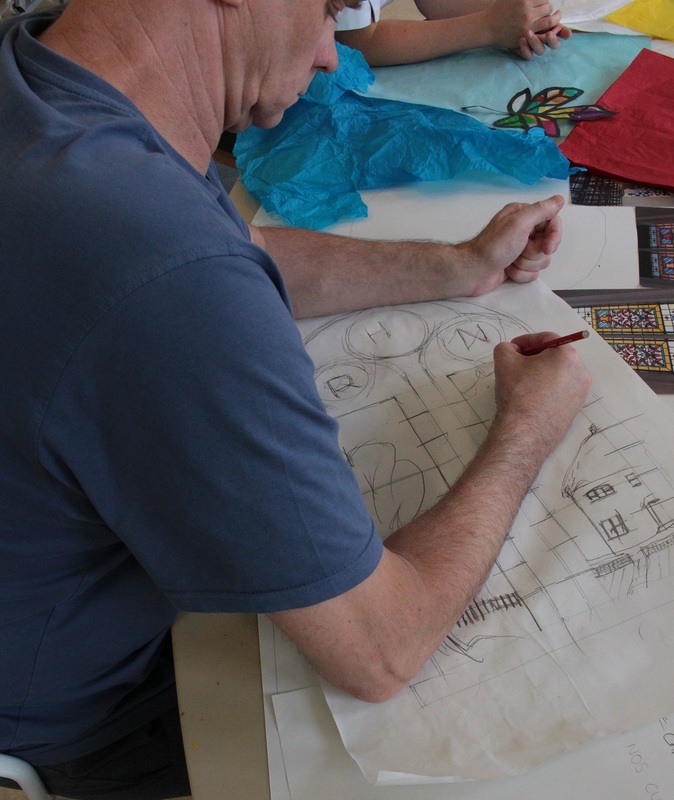 He’s also working on his own design for a stained glass window, but as well as the creative aspects of the project, Derek enjoys the opportunity to socialise too. The Art Room at the RHN is a beautiful, calm space where patients can spend time away from the ward and their rooms, making new friends and enjoying themselves. Sadly the service doesn’t receive any funding from the NHS, so every year we have to raise £50,000 to offer this wonderful facility to our patients and residents. This Christmas we hope that you will support Tina, Derek, and all our other patients and residents, with a gift for our Art Room. The time they spend in this wonderful room not only equips them with the skills they will need when they return home. It’s also a chance for them to express themselves and experience a sense of achievement in their work. What many people fear about living with disability is that their life will be diminished by it. Art gives them back a sense of hope and pride. Your gift will ensure our patients can enjoy the benefits of art. It’s that simple. You can donate to our art room using a simple online form.